I ate bite-size Snickers, Junior Mints and SweetTarts instead of dinner. And I just tucked a sugar-amped fairy princess and horse jockey into bed. This is going to be easy, short and sweet. You 100% NEED to make all of these dips. You will find the recipe for the Pottery Barn Dip HERE. But it's better than anything I've ever purchased at Pottery Barn. And I LOOOOVE Pottery Barn. Weird ingredients that don't sound right together but that come together in perfect harmony. It was my favorite of all three. Recipe HERE for the corn dip. I made it five times this past month. And recipe for the jalapeño popper dip is found HERE. Replace the cheddar with Mexican blend. Add 1 small can diced green chiles. And add 1/2 stick melted butter to the topping. And I subbed both the canned and fresh jalapeños the recipe called for with two small cans of regular diced jalapeños (hot). Don't forget to double the recipe or that will be some crazy, spicy dip. And helped the Giants win the World Series. Grab a button in the sidebar and let me know what you've been up to. My crazy talented friend, Katy just opened her holiday card shop. Super cute designs. I can barely stand it. Impossible to chose. She's offering a special discount. Go. Now. Order. You won't be sorry. And that's a wrap, friends. 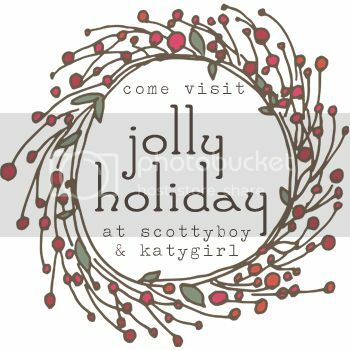 My sweet friend Katy puts together an awesome holiday series that starts today. With a Jello salad recipe that looks like raw ground beef but tastes heavenly. 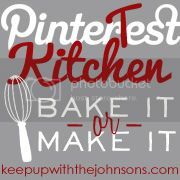 November Pintertest Kitchen link up is THIS Thursday. I'll be recapping the dips that helped the Giants win the World Series. Lastly, I want to direct you to the Hope For Sudan blog. A comprehensive recap of the trip. Written by the men who went. The Giants Did It! And We Have New Pets. Kayla has the day off from school today. Dave just took her to the pet store to buy a pair of goldfish. K: (bats eyelashes) "Daddy! I know. Let's get one orange and one black and name them Panda and Posey." Girl knows how to work a joyous situation. We were up past bedtimes last night driving around the city. Rally rags and signs out the car windows. Mini-fireworks displays around the neighborhood. Cheering with new friends as they poured out of the bars and restaurants downtown. Ashlyn shouted, "The Giants did it!" We're picking her up from school today and driving up to the city as a family to welcome our team home. Hopefully our new fish friends will still be alive when we come back. I'm predicting Panda might eat Posey. All I know is that it's a fun time to be a Giants fan. And I have 3.8 pounds to lose from dip intake. The Giants Win the Pennant!!! And a Key to a Happy Marriage. The Bay is electric today. So much excitement in the air. For the second time in three years, our San Francisco Giants are going to the World Series. I'm listening to Sports Talk radio. I don't really know what's come over me. We were at Game 7 last night. Thanks to my generous parents and their season tickets. Disgustingly stuffed from stress eating garlic fries. Drenched from the torrential rain. I told Dave stats that even he didn't know. John Jay was 4 for 5 against Cain this year. Matt Carpenter? 5 for 6, including a homer in Game 3. Kruk and Kuip told me that. he beamed as I became his temporary sidekick in useless statistical knowledge. Wives, love Jesus and learn stats. Be happy when he's happy. And let's do this, Giants. A certain little girl in our house loves race horses. And movies about race horses. We've watched Secretariat well over 100 times over the course of the summer. An old hymn is the heart of the soundtrack. And we have it memorized. God, in His providence, put it there. Because it has zero to do with horses and everything to do with Jesus. Kayla was baptized by her dad last Sunday. I was anxious about her having a proper understanding of what she was doing. But I am so thankful. God gave us the grace to share, explain and teach our little girl through a movie. A story about a horse. With a song about Jesus and redemption and baptism as the backdrop. Being baptized doesn't mean we've won the race. It lets everyone know we're running. Pintertest Kitchen: Giveway Winner Announced! Old school raffle style again. I know I have other options. Quicker, cuter, more tech-savvy options. But I like yellow post-its in my Longaberger. Before I reveal the big winner, I want to share with you the link that got the most hits. It's also one of my favorites. Kaylee over at Life Chasers and her glitter cup. Such a good idea. And executed perfectly. I've been mesmerized by it since last week. It's the fancy glitter, I'm sure. I want to thank each and every one of you who linked up this month. For pinning and testing. And documenting and sharing. I'm definitely going to bribe you more often. On to the reason we're here. You are one lucky duck. Contact me for details on how to claim your loot. Same time, same place next month. November 1st, to be exact. And thanks again to all who participated. Kim sent me this video last week. She was kind enough to babysit the girls while Dave and I were out for my birthday dinner. And I saw it fit to post. The first anniversary of Ashlyn's cochlear implant activation is later this month. I want to remember the tremendous progress she's made. And I want a marker of the progress to come. I want to look back a year from now and feel the way I do when I watch her today. As I see her answer questions and speak more clearly. As she interacts with others without a need for my interpretive skills. I love her silly jokes. I even love her sass when she talks back. Last year, I remember feeling doubt and fear that we were too late. And while her speech may never be exactly perfect. Happy Birthday, Pintertest Kitchen: Candy Corn Fudge and a Giveaway! So this month's Pintertest is quick and easy. Then we're on to the real reason you're here. A ridiculously fabulous fake birthday giveaway. Original recipe called for Limited Edition Candy Corn Oreos. As in nowhere on the Peninsula. So I subbed with the more toxic looking Halloween Oreos. I also added Limited Edition Candy Corn M&M's. Line bottom of 8x8 pan with parchment paper. Chop about 12 Oreos in quarters and line bottom of pan with half of them. I sprinkled some of the M&M's on top of the Oreo pieces. Set aside while you prep the fudge. Combine white chocolate chips and condensed milk in microwave-safe bowl and microwave for 2 minutes. Add food coloring and stir until you reach desired orange color. I used about 10 drops. Stir and heat for 30 seconds more. Repeat until fudge mixture is fully melted. Pour fudge into your 8x8 pan. Sprinkle with remaining Oreos pieces and more M&M's. Let chill in fridge for about 4 hours. So many generous blogging friends with fabulous shops. Here's a detailed run down of what's up for grabs. Lindsay from Pen and Paint is offering one of her kitchen prints. Green, red, blue or yellow (pictured below, top row, second from right). Heather of CM Handmade is offering a custom "EAT" burlap banner. I kind of wish I could win. 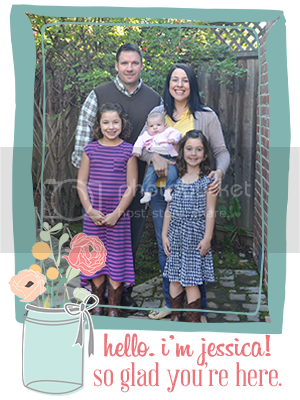 Julie is offering any one printable from her shop. They are wallpapered all over our house. Hannah is parting with a pair of her Happy Days earrings. I have 4 pairs and I want 44 more. And Katy is offering any one print from her shop. Such encouraging words. I love her work. She also makes a mean button. And last but not least, a $25 Starbucks gift card from me. Because I'm not the craftiest. Maybe I'll dust off my washi tape and make you a gift card sleeve. One lucky Pintertester wins ALL. Your link is considered your entry. Linkers, for additional entries share this post via Facebook, Twitter and/or Instagram. Leave a separate comment indicating each way you've shared. But YOU MUST LINK UP TO WIN. Giveaway closes Friday, October 12. Winner will be chosen randomly and announced Monday, October 15. Grab a cute new button and have fun!